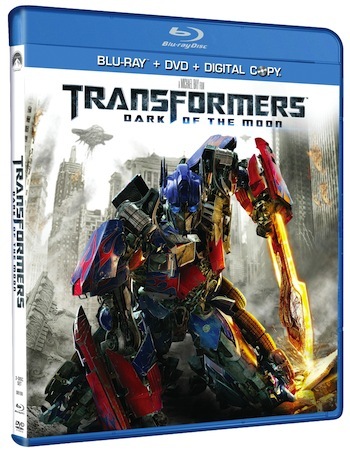 Besides being a lightning rod for the Blu-ray vs. HD DVD wars, the Transformers series also racked up some of the biggest HD sales ever, and now we'll see if the latest entry, Dark of the Moon, keeps up that trend. Paramount has announced it will be released September 30th in Blu-ray/DVD combo form for $29.99, with a "deluxe" release including Blu-ray 3D expected in "the coming months." There's no specifics on any extras included in this release, but it looks like PHE is going the Avatar route and saving those for later. For those anticipating the 3D release, hopefully this doesn't equal a similar exclusivity period, but until the disc is actually announced we won't assume anything. If 154 minutes of Michael Bay exploding things sounds like a good idea to you, check after the break for a press release and schedule that Friday off -- you have somewhere to be.